Maxwell Johnson spent his summer investigating the buckling strength of honeycomb cores at the College of Engineering, Mathematics and Physical Sciences at the University of Exeter. Sarah Hyde spent her summer working in the Department of Chemical and Biological Sciences at the University of Huddersfield. She worked on a study of the interaction of multiferroic materials with microwave radiation. Tom Hutchings was supervised by Dr Matthew D Lloyd in the Department of Pharmacy & Pharmacology at the University of Bath. A paper based on some of Tom's work has now been submitted for publication. Natalie Marshall spent her summer in the Department of Chemical and Process Engineering at the University of Strathclyde. She worked with Dr Ashleigh Fletcher, who was also supervising two students from the Nuffield Foundation's Schools & Colleges bursary scheme. Tina Parsonage was supervised by Professor Anne Tropper in the Department of Physics & Astronomy at the University of Southampton. She spent her summer working on ultrafast semiconductor lasers. Amy MacLachlan worked with Dr Ivan Konoplev in the Department of Physics, University of Strathclyde on a project concerned with manipulation of electromagnetic radiation at high frequencies. Chris Starkie spent his summer working with Dr Jason Camp at the University of Nottingham on minimising the costs associated with the synthesis of an important building block in organic synthesis. Nick Wardle's research project was at UCL. He investigated periodicities in the solar wind. Sam Timson researched the role of antimicrobial peptide matrices in answer to bacterial drug resistance. He worked at the University of Leicester and his work has recently been published. David Nash's research project took him to the University of Bath, where he investigated near-surface nanoscale structures probed by positron beam spectroscopy. 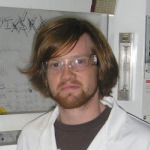 Malcolm Spain researched ways to exploit ‘ring size-selectivity’ in organic synthesis at the University of Manchester. Rosalind Teo Ling Wei researched ways to optimise the production of specialist medical fibres used in tissue engineering applications. She was based at the University of Nottingham. Brett Metcalfe researched the Lilliput Effect in the aftermath of the end-Permian mass extinction event. His project was at Plymouth University. Derek Revill's research project looked at the Rheo-NMR of a block copolymer system. He worked at the University of Leeds. Megan Lightfoot's research project focused on light activated molecules that protect against UV induced damage to skin cells. She was based at the University of Nottingham.